Six is the elegant rooftop restaurant located on the top floor of BALTIC, offering stunning panoramic views across the Newcastle skyline. The style of food is British modern, featuring the very best locally sourced ingredients simply cooked and served in a relaxed and friendly setting. Six is available for private hire and comfortably accommodates breakfast meetings, formal lunches, large dinners and intimate private dining. 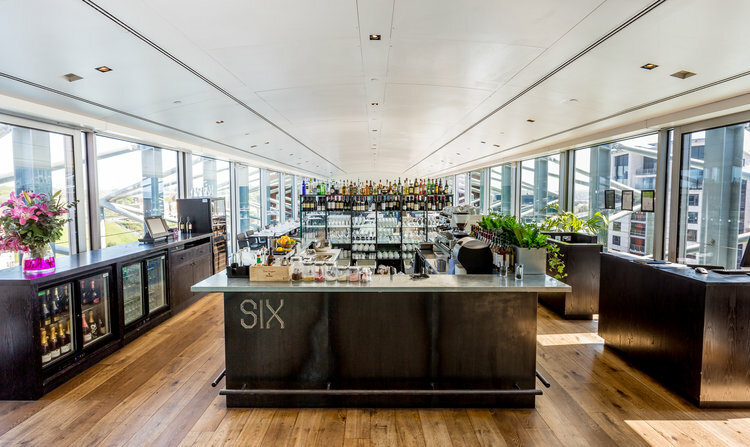 On Saturdays, Six is exclusively available for private hire for weddings.